Rosy Barb is an Indian native fish, Which can be kept in aquarium as well as ponds. 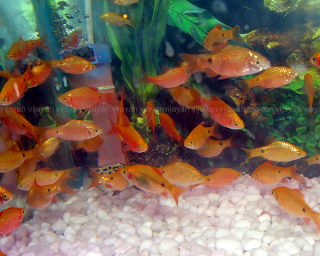 They are in aquarium world for long time because of their colour and Peaceful temperament. Best fish for beginners in open space aquarium and planted tank aquarium. As per few reports rosy barbs eats algae also. So you can use them to control hair algae growth. 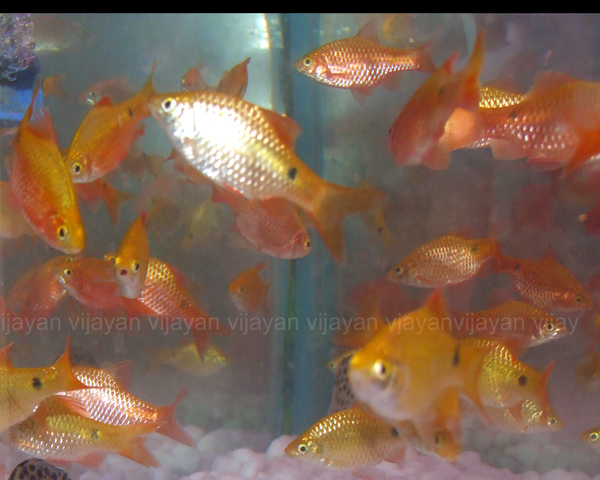 Males appear reddish and has black lining in their fins, Females are golden in color and less colorful when compared to male. And they grow bigger. Not Known exactly, But Bread Commercially so it will be easy with a group of fish in a soft water environment with more female to male count.